Sa Pa is home to Vietnam’s highest peak, Fan Si Pan, which tickles the clouds 3143m above sea level, keeping watch over the terraced rice paddies that line Sapa’s steep valley walls. Sa Pa is a small, mountain town in Lao Cai Province. 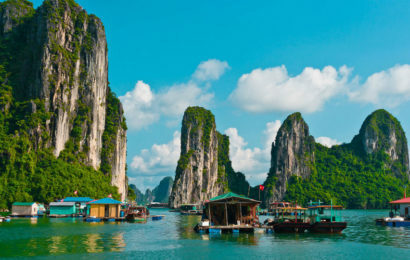 It is located about 350 km northwest of Hanoi, close to the Chinese border. Here’s where you’ll find the Hoang Lien Son range of mountains, which includes Fan Si Pan—the country’s highest peak. This quiet Vietnamese town is home to different ethnic tribal groups. There are five main ethnic groups in Sapa: the Hmong, Dao, Tay, Giay and Xa Pho. It is said that Sapa was first occupied by the first four groups, since the Vietnamese from the lowlands (better known as the Kinh) did not colonise the highest valleys. 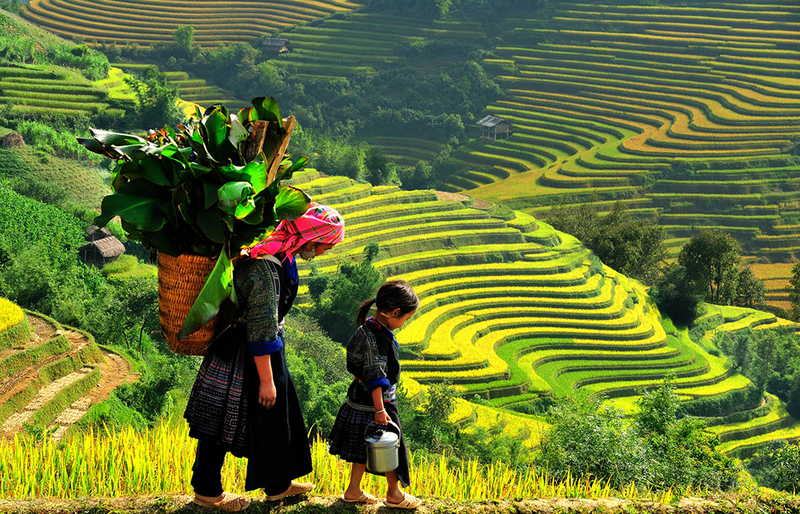 These days, Sapa welcomes a diverse range of visitors, attracted by the highland tribes, iconic rice paddies and forest treks. The whole area is blessed with awe-inspiring natural beauty. 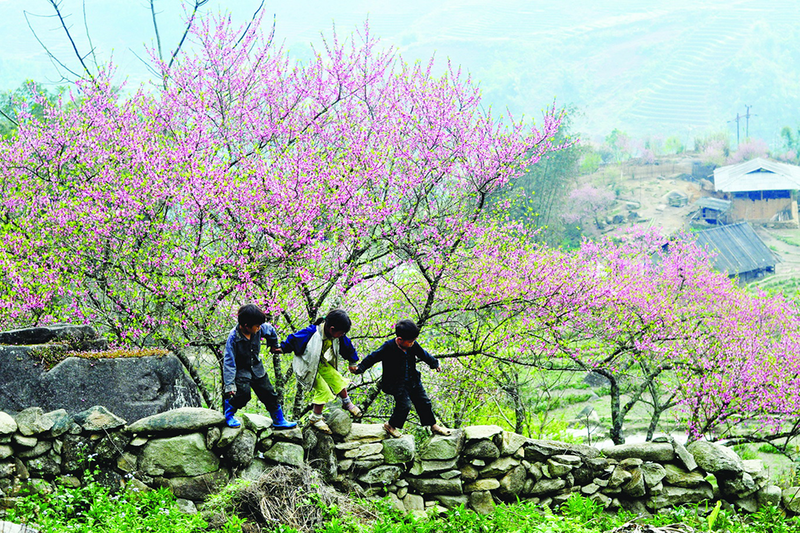 Hiking and enjoying nature is the name of the game in Sapa. 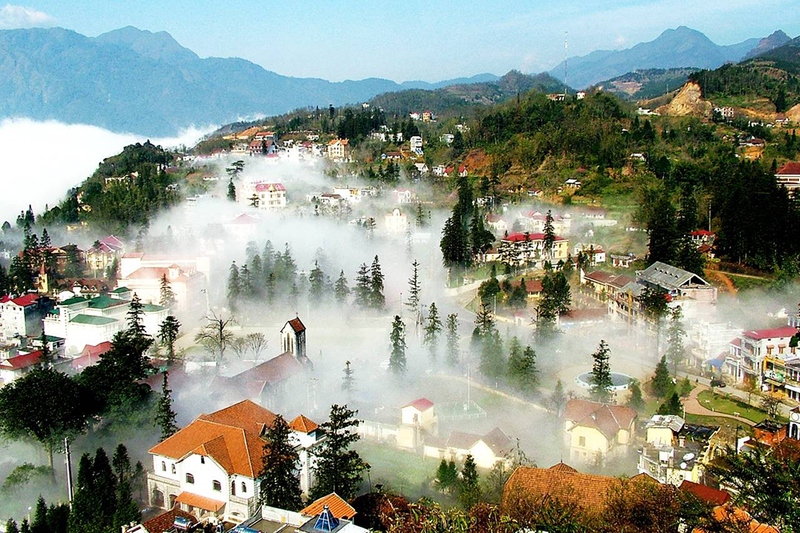 The most prominent attraction in the area around Sapa is Fan Si Pan, which is the highest mountain in Vietnam. It’s only 19km from town. This may seem like a short distance, but the trek is not easy; the rough terrain and unpredictable weather present some difficulties. Tourists who are fit and have mountain climbing experience will enjoy this attraction the most, as the peak is accessible all year round. Technical climbing skills are not necessary, but endurance is a must. 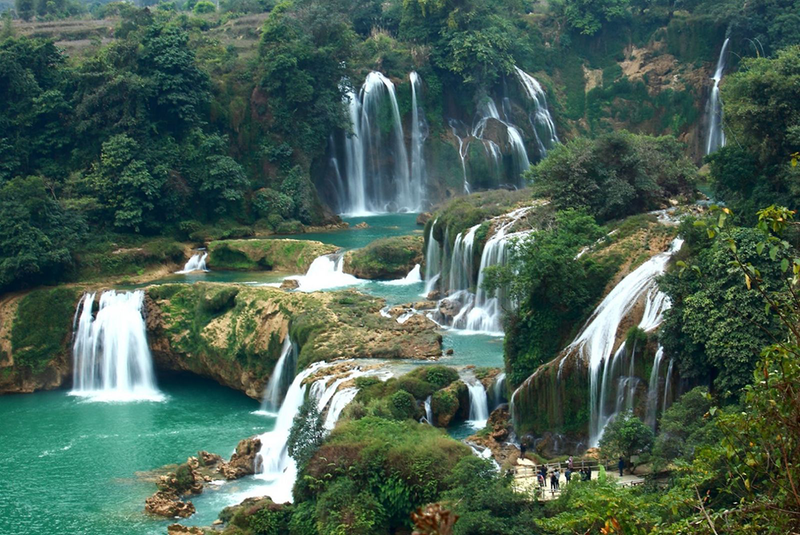 Fan Si Pan can be found in Hoang Lien National Park, which is an attraction in itself. The park covers a picturesque mountain landscape and several forests, and serves as the habitat for a diverse set of animals. Some species can only be found in northwest Vietnam and are highly endangered. Nature lovers will truly appreciate this park. 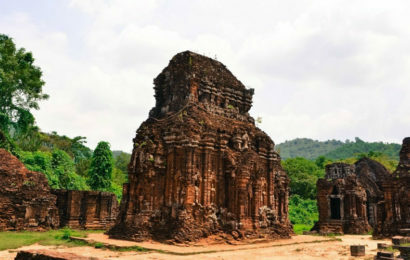 Other attractions that are part of the Hoang Lien National Park include the Cat Cat Village and the Ta Phin Village and cave. 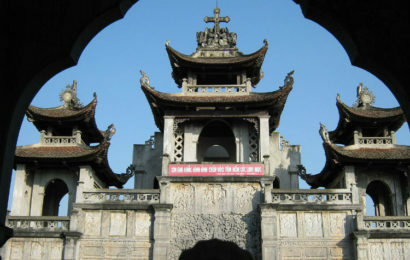 In Sapa town, there’s a small museum and a modest cathedral. We highly recomend taking a stroll up and down the steep streets of this tiny mountain town. You may be hassled by tribal ladies to buy their wares, but it’s fun to talk to them. 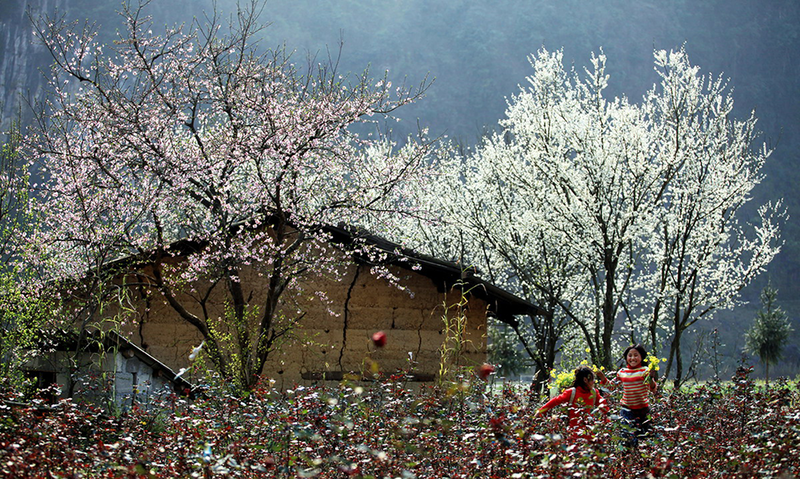 The Best Things to Do in Sapa Hiking Visit tribal villages Fan Si Pan mountain Hoang Lien National Park. 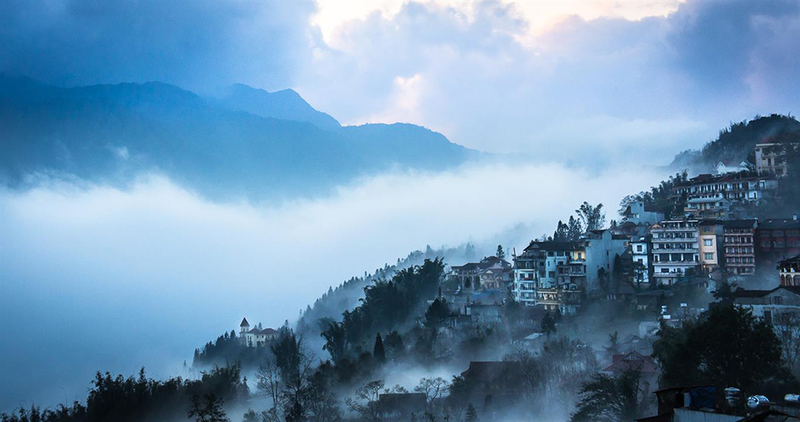 Sapa isn’t known for its hectic nightlife scene. There are a couple of bars offering a place to meet fellow travellers, sink a few beers and play a game of pool. Most of the restaurants that sell beer and other drinks tend to close early in the evening. You can find a few karaoke joints frequented by middle-class Vietnamese travellers. There are no nightclubs or dance halls. The H’mong Sisters is probably the most popular bar in town. It has TVs, pool tables and a well stocked bar. If you’re looking for live music in Sapa, head to the Wooden Pub. The place gets packed when live bands play on weekends. Like most rural areas in Vietnam, there are no shopping malls in Sapa. Instead, shopping takes place at markets where locals buy (and sell) an assortment of goods. Fresh ingredients, handicrafts and clothing are plentiful. Tourists can also purchase souvenirs. There’s also lots of faux-tribal goods that have come stright from a factory in China. If you want to buy something, bargain hard. The tribal ladies selling the goods can drive a very hard bargain. Located next to the bus station, Sapa Market is open daily from 06:00 to 14:00. The town is very small, so it’s easy to find this local market. The most popular day to visit is Saturday. It was made famous mostly because of the ‘Love Market,’ wherein teenagers from the tribes go to town to find a partner. Unfortunately, it has become significantly commercial in recent years. The Bac Ha Market and Coc Ly Market are good alternatives for those who want to experience shopping the way locals do without being dampened by commercialisation. If you want to visit these Tribal markets, you should book a day tour from a travel agent in town. 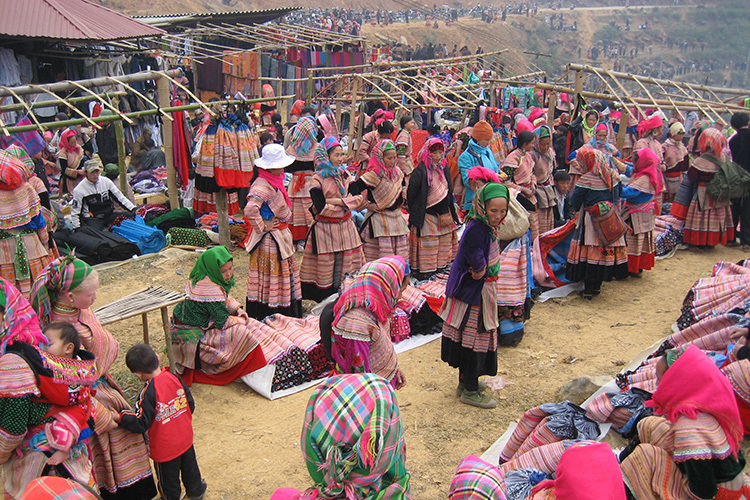 Every Sunday, the different hill tribes that meet in the morning to sell their wares make up the Bac Ha Market. Unlike the Saturday Market, this is more about local business than tourism. The market is open until noon, but the best time to visit is between dawn and late morning. If you miss the Bac Ha Market, you can wait until Tuesday for the Coc Ly Market, which is smaller and less varied. The Best Markets in Sapa Sapa Market (daily wet market in town) Bac Ha Market (large Sunday market, 2.5 hours drive from Sapa) Coc Ly Market (Tuesday market with authentic feel. 1.5 hours drive from Sapa). The best way to reach Sapa is via the overnight train from Hanoi. It’s a nine-hour ride from Hanoi to Lao Cai. Tickets need to be booked in advance from Hanoi Train Station. We advise to take a cabin with a bunk bed. From Lao Cai, it will take about 45 minutes to an hour of road travel (either by minibus or taxi) to get to the desired destination. Travellers also have the option to drive from Hanoi (usually by motorcycle), but the direct route to the capital will take about 10 hours. Getting around Sapa is mostly done on foot. The town is very small and the steep streets are easy to navigate. The dry season begins from around January and lasts until June. The best time to visit is between March to May. January and February are the coldest and foggiest months of the year. There are times when temperature drops to almost freezing, and visitors find themselves blocked by a thick wall of fog. It is warm during June and August, though it often rains during this time, especially in the mornings. If possible, visit during the week, when the town is less crowded. Before visiting, tourists should bring with them the necessary gear appropriate for the weather. Good trekking footwear or rubber boots are a must. It was only when the French arrived in Tonkin in the 19th century that Sapa was acknowledged and included on the national map. 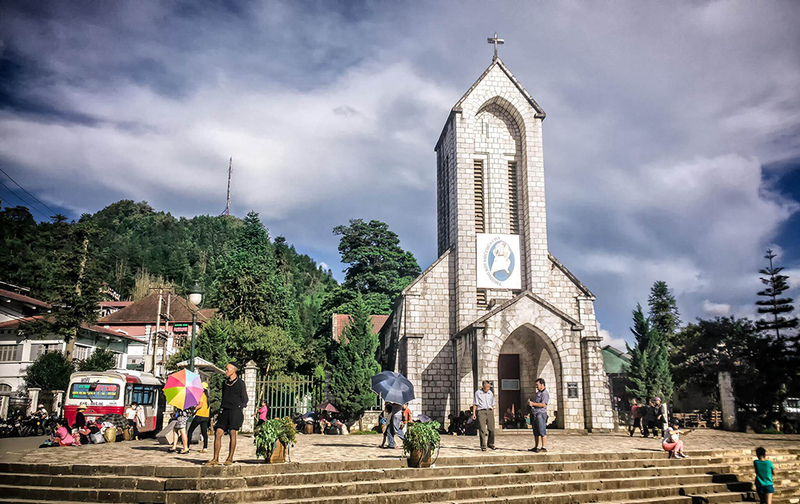 The site where Sa Pa is located became a key location for the French military as well as missionaries. 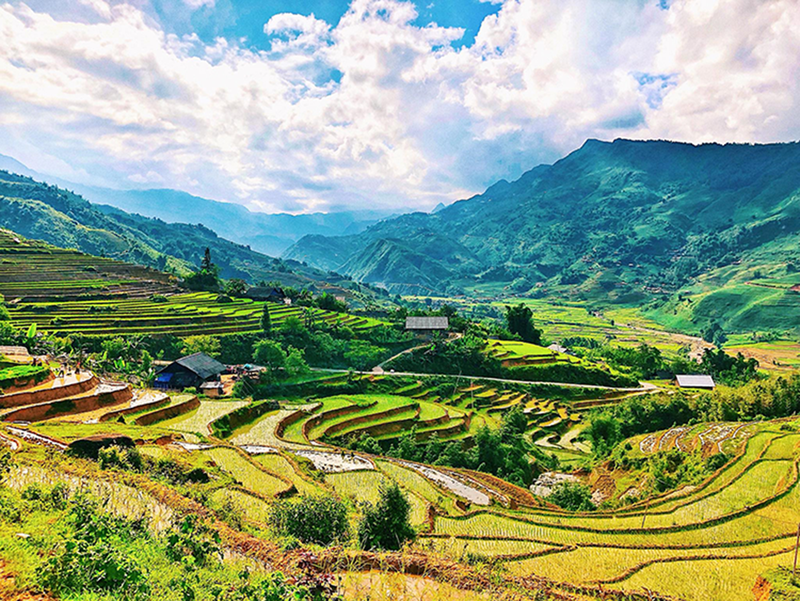 For decades, this mountainous backwater was unknown to tourists, but in 1993 Sa Pa became accessible to many when it was formally promoted as a tourists destination.